Horne Fisher is extremely well connected. The plans of Prime Ministers, Foreign Ambassadors and Chancellors are matters of table conversation - usually because these people are dining with him. And when a man so well connected is also a brilliant detective, all sinister motives and plots systematically unfold. Whether it is a case of police corruption, or a war with Sweden, Horne Fisher can always solve it. But Horne Fisher is also a philosopher, and not a policeman, and the murderer is seldom punished. 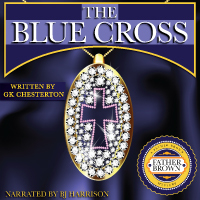 G.K. Chesterton, author of the Father Brown stories, here introduces another detective outside the realm of conventional law enforcement. 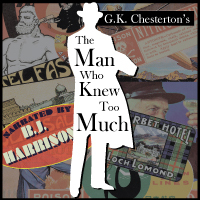 The Man Who Knew Too Much contains eight stories full of mystery and adventure, with a fair share of food for thought. From Kat of Fitchburg, Wisconsin on 1/8/2017 . 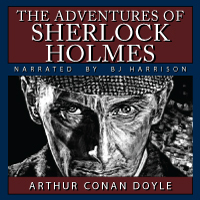 Mr. Harrison captures the characters so well in all of his audiobooks, and this one is no exception. An excellent story done well. Thank you! From NP of Pensacola, Florida on 12/5/2016 . As I have come to expect, Mr. Harrison delivers a quality product at a very reasonable price. Much better than some of the Librivox efforts. Sound quality is very good. From Anonymous of San Luis Obispo, California on 11/17/2015 . 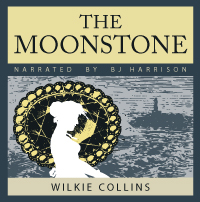 This is a wonderful book and the audiobook by BJ Harrison is exemplary. What a treat!